Every company is focusing on employee motivation and retention in Hungary. One of the biggest company realized based on analyse from last year that the most efficient PR activity was to take part on Family-friendly Company award. 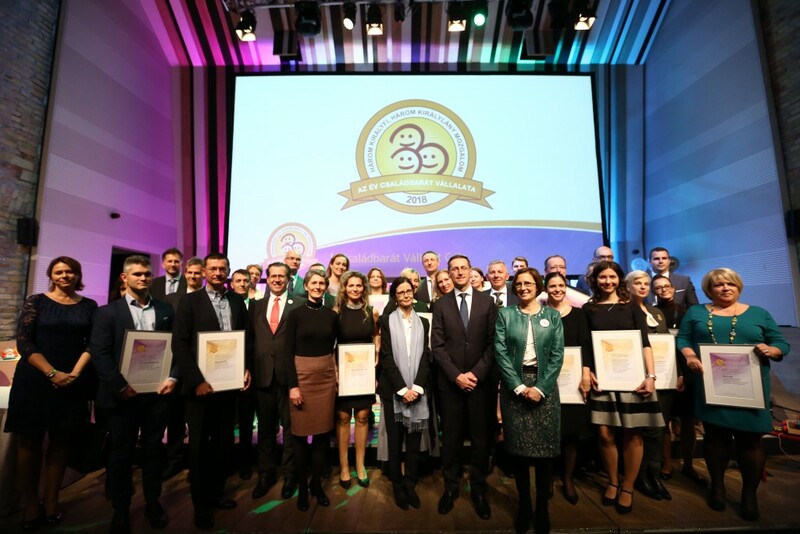 In 2018 the call was submitted by 200 companies, of which 17 were awarded the “Family Friendly Company”. The mission of the Three Princes, Three Princesses movement is to help the birth of more children in Hungary by supporting the reconciliation of careers and families activities. Since 2013 the association has been a “Family-friendly Company” award for companies that contribute to a family-friendly approach by supporting work and private life balance. 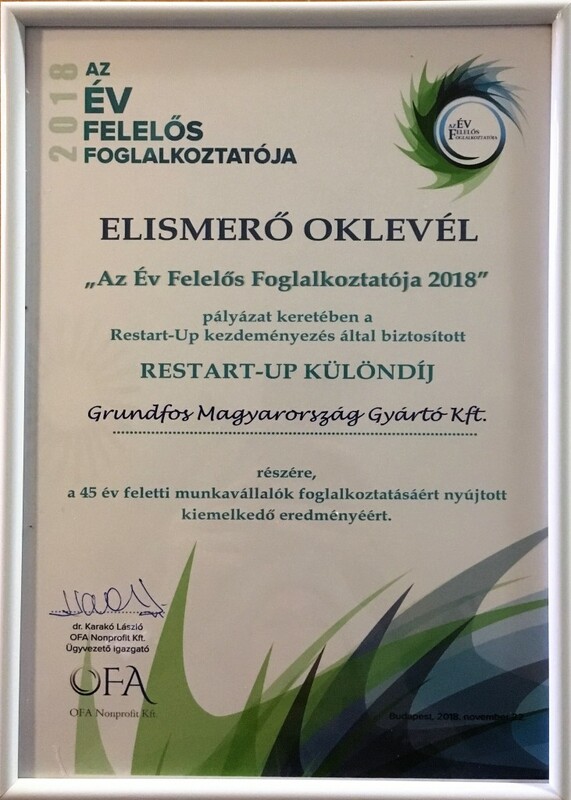 At the Friday evening event in Budapest, Grundfos Manufacturing Hungary Ltd. won the main prize “Family-Friendly Company of the Year 2018” by acknowledging our family-friendly activities and aspirations. At the event, Deputy Prime Minister Mihaly Varga emphasized that the remunerated solutions are exemplary, which need to be collected and share in order to create as many family-friendly jobs as possible, benefiting companies, people, families and the country too. “The Family Friendly Company of the Year 2018” award was take over to 1 company per categories, evaluating small, medium and large companies. In the large company category were “competitors” such as Budapest Bank Zrt. (GE Group), IBM Hungary ISSC, MOL Nyrt., NI Hungary Ltd., Szerencsejáték Zrt. 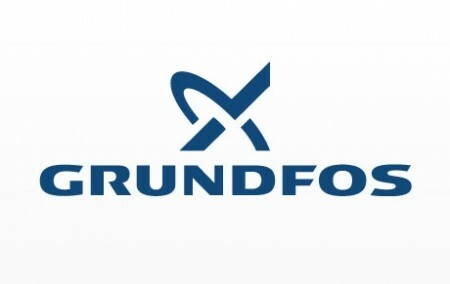 Grundfos got the nationally acclaimed award for flexible working forms, organizing summer camps, coordination of male and female roles and work-life integration.